"Great log scrapper and visualization tool for logs"
I enjoy being able to query my data out of the logs and quickly find resolution to the issues in the platform. I also enjoy the auto highlighting of the search fields so that I can quickly determine if I am going down the right path for the errors located in the logs. As you dive into Kibana you will quickly learn that there is some powerful tools for searching the logs, visualizing using the dashboards, and filtering data to just the context you care about. We are using it on our production evironments to be able to give the developers access to the logs and visualize where the performance/bugs exist in the code. I love the fact that when it works we can see real time transactions and all the information that comes with the transaction. It is pretty easy to use and we can save a lot of our search queries so that we can do quick searches later. I also love the fact that we can can pull reports to excel. That is really helpful when we need to pull data quickly. The different ways that it presents information is helpful as well. The main problem is that when it goes down there is no time frame of when it will be back up. We have called and called support and it has now been over 4 months that it has been down and we are unable to use it. We need it especially when there is an issue because its the best way for us to pull the data but when we can't use it that is a huge problem. Why pay for something that we can't even use. They need better customer support. There is no reason we should be down this long. Again why would we pay for something that we can't even use. When it is up though it is a great tool. The problems that we were solving by using Kibana is we are able to get our data quickly and able to figure out if there is a real issue with our stores quickly. That is a major benefit as well but if we can't use it then there is an issue. "Kibana has greatly improved our visualization of stats"
It isn't as straight forward to create and save dashboards and visualizations as it should be, the User interface isn't intuitive and isn't obvious where to go and what to do. "Easy setup but hard to search"
The fact that it is open source is always a plus. Good user guide which is very helpful and a must read to know how to use Kibana and all of it's features. Poor performance when there are a lot of logs to search through. The max tolerable search we can use is "This Month". Anything over that and it is just very long for the results to load. Need to read the user guide or else it's hard to know what your doing and the best way to search through all your logs. Read the user guide to know how to use Kibana. It takes some time to fully learn all the features and to easily search through the logs you want. We needed a way to search through our build system logs to search for recurring errors. Therefore we setup an ELK server to achieve this and Kibana is one of the components in ELK. "Kibana usage review to get api performance metrics"
I have not found it to be customizable but what it has is great. Other than that it has fit my use case. 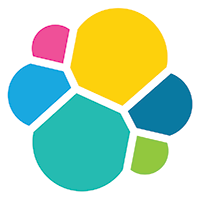 Use ElasticSearch, Logstash/Fluentd with Kibana to save money. I am using Kibana with Elastic Search and fluentd to parse log files automatically. Have been using elastalert with it to provide alert. * Kibana 4 interface is more complicated than 3. * Re-creating saved dashboards in 4 wasn't a 1:1 parity transfer. * Sometimes it's hard to find what you're looking for because the incoming logs are bleak. The flow is all over the place. * The scrolling fixed position CSS they do is also quite annoying. It's very overwhelming at first. I recommend learning all types of queries (field base queries, regex queries, range queries, boolean, etc). Log monitoring. => Funneling for debugging. Visualize data. => Dashboards for everything. "I am using Kibana for 4 years"
It has the best interface to browse throw stream of logs. I've tried some commercial tools: Loggly, Papertrail and Logentries but I've switched back to stack Kibana + Logstash. I don't like that configuration format has been changed several times. I would like to have interface to configure the Logstash plugins and settings in the Kibana interface. You are able to do the most interesting reports for you by yourself. "Easy tool for graphical representation for developer without need of UI skill set." Best is I can dynamically create different types of data in various representation without ui technologies skill set . Just have to select x xaixs and y axis attributes and math function to plat chart. Few limitation of match function and not much customization of graph once created. Like chaning the values depicted to different format based on choice. Sample graph with different format is currently limited. Monitoring health charts of various application and monitoring cluster and alerting using painless script by watcher feature was super hit for was. Once the data is collected, there are endless ways to visualize your data. Sometimes it was a little glitchy, but the good definitely outweighs the bad. Worth the investment in using Elastic for data collection. You can create amazing dashboards with the software within Kibana or in external interfaces. It helped us to create heatmaps, show popular terms, and analyze user popularity with our data. It was fantastic. "Steep learning curve but it’s worth it"
I’m an analyst, and Kibana helps me visualize the data I need in order to do my job well. It’s completely customizable. It takes some “coding” savvy to use Kibana. You have to learn the program’s language to get what you want out of it. I am able to see data trends on prices, and thus decide the best time to sell our products. "Great log monitoring and viewing tool"
Kibana's UI is very intuitive and performant, filtering tools available are also very easy to use and make operational tasks like troubleshooting issues and scanning logs very efficient. We use Kibana to search logs aggregated across our applications and we also use it to interface with our ES clusters. The primary benefit is obviously having a nice UI to work with. "Kibana - not a dashboard-making tool for novices"
Kibana has a simple, clean, interface. I liked that it had the capacity to display really cool stuff, as seen in tutorials. The standard metrics and options for visualization were efficient. No pre-built templates for dashboarding, and limited in what can learn without seeking out video or blog tutorials or user boards. Having to first save a search and then a visualization, and then a dashboard was weird and confusing. We use this to look for log patterns in multiple areas of the IT infrastructure. "Best Data Visualisation tool "
Easy to create graphs or charts on top of the content indexed on an Elasticsearch cluster. Indexing the transactions and logs for gas and electricity applications. "Suitable for basic reports on elastic search data source "
Customisation and plugins development is not yet well documented. community support is not grwon yet. * We monitor all Kibana reviews to prevent fraudulent reviews and keep review quality high. We do not post reviews by company employees or direct competitors. Validated reviews require the user to submit a screenshot of the product containing their user ID, in order to verify a user is an actual user of the product. Hi there! Are you looking to implement a solution like Kibana?